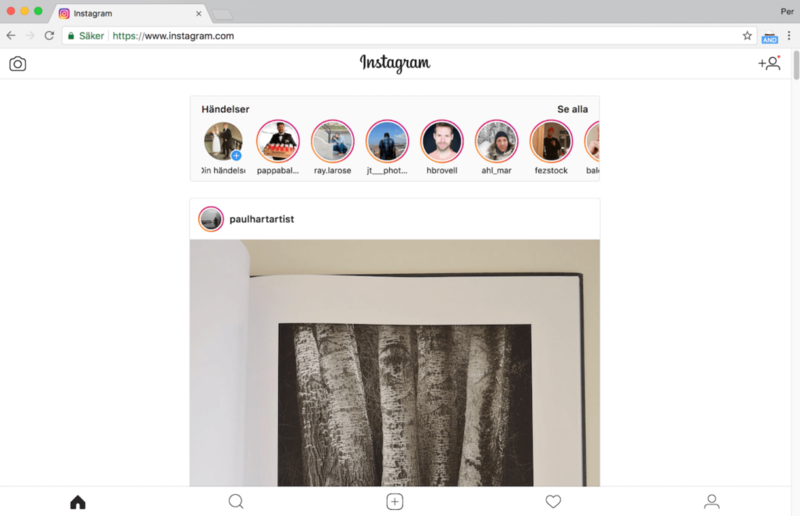 You edit your images and photographs on your computer and want to share them with your Instagram friends and followers. Do you export your image, send it to your phone or tablet and then upload it with the Instagram app? Let’s make your work flow and bit faster and easier – and publish your images on Instagram from your browser. 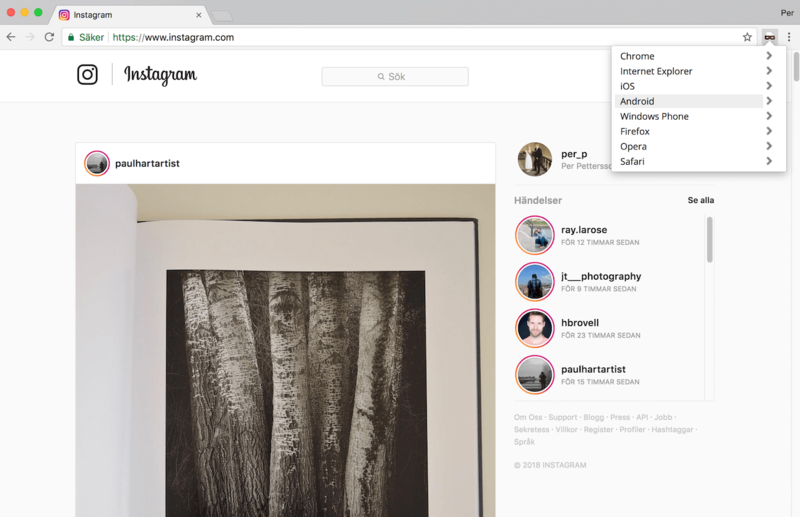 The browser will refresh instagram.com and pass the data that the browser is actually a mobile browser – and Instagram will all of the sudden give us the option to upload our images. Don’t forget to reverse your settings when you’re done. Use the add-on and choose Chrome > Default. Otherwise you’re going to get the mobile version of every other website you visit. Connect with me on Twitter (@per_p) if you like to send a digital high-five or if you have any issues with the solution.